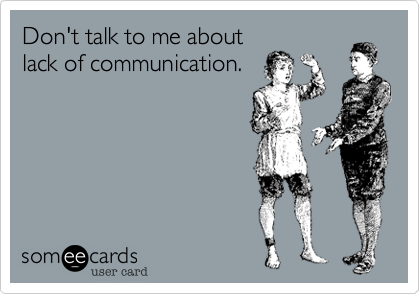 Great communication lies at the heart of every successful business. In the early part of a business relationship, regular and effective communication ensures that your client is happy with your product and helps to develop a trusting relationship. Later communication can keep them up-to-date with the most recent developments, whether it is in an e-mail communication, a face to face meeting or courtesy call. We are firm believers that for a strong relationship with our clients we will not only speak to them at Christmas time to discuss our business ecards. There are host of ways for businesses to keep in contact with clients nowadays. While modern technology has made communication even more rapid, often the old ways are just as effective as they always have been. Regular e-mail newsletter updates. Many have recently postulated the demise of the humble e-mail as a form of mass communication, especially with the rise of social media over the last few years. But direct e-mail is still one of the most effective strategies for staying in contact with clients. A monthly newsletter is the least you should be thinking about. Face to face always works best. If you have provided a good service to your client over the years, it’s simple to pop in for a catch up chat every so often to see how things are going and whether you can be of further service. Run an event. It’s a great idea to get all your clients in one place and running an event can often generate new ideas for both your business and theirs. Send them e-Christmas cards for business. There are plenty of designs to choose from and it’s a nice, eco-friendly touch to offer your best wishes at this festive time. Many businesses have their busiest time at Christmas and may well appreciate a supportive and personal message of support. Remember special occasions. Clients like the personal touch and remembering birthdays and the like can have a huge impact. Why not send them a card with a photo of the event they attended with you a while back? Most businesses waver between communicating too much and too little. Too much and you may annoy your prospect, too little and they may run off to someone else who is a bit more communicative. It’s a fine balancing act and often depends on the type of business you are in. A lot also depends on your personal relationship with the client. If you get along well then you may well see more of each other. What you need to remember is not to neglect your other clients who may like a bit of space between you and them. Having a schedule helps to keep everything ticking over smoothly so you won’t forget to send those Business holiday ecards or make that invite to an event.